Restaurant Week is getting closer, and we’re getting hungrier. The downside to having so many amazing restaurants in the Madison area is that we have to pick and choose between them. While we really wish that we could just sample it all in a fantastical, mile long buffet, we also realized that this is a good opportunity to talk about restaurant food photography. How do customers choose where and what they want to eat? As the saying goes, people eat with their eyes. 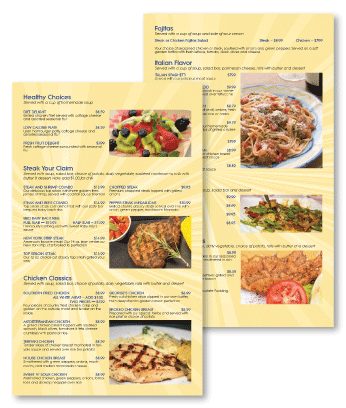 Photos in a menu, printed or online, are a customer’s first interaction with a restaurant’s food. It makes sense, then, that those photos need to strategically entice people and make them hungry. So, we’re here today with another list of tips, this time pertaining to restaurant food photography. While it might be tempting to include a photo of all the delicious items on the menu, too many photos can be overwhelming for customers. The pages will feel cluttered and customers will have a harder time deciding what to order. Instead, keep it simple by choosing a select few dishes to photograph. 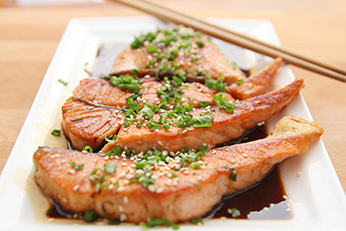 This technique is great for featuring dishes that you especially want to promote, such as house specials or customer favorites. This one might seem obvious, but food photography in a menu needs to be visually appealing. It needs to be appetizing. Though it might taste great, a lot of food is not easily translated as delicious on camera. Sometimes it takes a little gussying up. Bold colors, good lighting, the right angles—find the dish’s good side and work it. 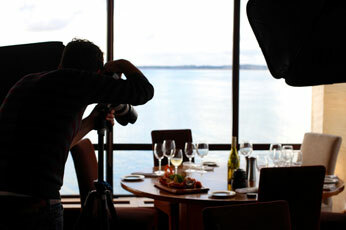 This also means photographing the dish in its true environment, to prevent dish appearing to float on a menu. It looks strange. Consider a table setting and plating details in your photographs. First and foremost, restaurant food photography needs to look good for print. It needs to look good on the menu. Photos usually look much better on a computer screen, but a vibrant digital version might print into a dull one. Be mindful when digitally adjusting colors, because they will look different as ink on paper. While a menu should picture dishes in their best light, maybe looking better than they normally do, it’s important to not stray too far from the truth. Customers won’t be impressed if they think they’re ordering one thing and something that looks completely different comes out of the kitchen. Avoid over-styled photos, and stock photography if you can. Food photography can be fancy, but it also needs to be realistic. Food photography is an art, and not every photographer works with food. If you want the best results for your menu, find a professional food photographer. They will have the exact lighting, tools, cameras and know-how to make your food look appetizing. It’s easier said than done. Heck, they’ll probably even have special food makeup for the job. Trust a food photographer’s expertise to ensure that you get the tastiest looking menu. If you haven’t yet, we recommend you start researching what Madison area restaurants you want to try, or even ones that you want to re-visit. We definitely have a working list for ourselves. 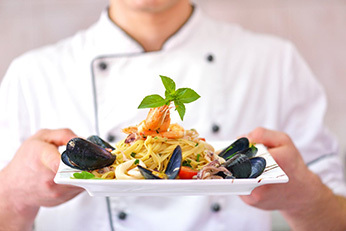 From all of us at IH Concepts, we wish you a delicious Restaurant Week!